Penn GT Levelwind Reels are perhaps the most versatile series of reels. From inshore bottom-fishing to offshore wrecks to bluewater trolling, GT Levelwind Reels have seen and done it all. 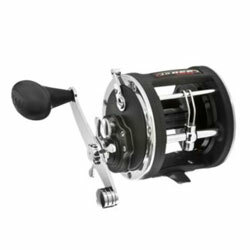 Lightweight graphite frame, anodized-aluminum spool, stainless pinion, manganese-bronze main gear, aircraft-grade sealed stainless ball bearings, and an easy-to-operate and adjust star drag. "good reel for the money spooled with 50 dacron used for cod fishing"
"I have one of these for fishing flatheads in heavy cover. I spool mine with 80lb. test and use it to fish very close to structure." "Excellent purchase and product. You can rely on the product quality and performs. I have no complaints."